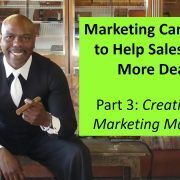 In this video, we’ll talk about the first part of creating your marketing campaign which will help your sales department close deals – Creating the Lead Generation Items. You’ll need to strategically pick these items and place them where your audience views their information. Watch the video to get more details. Then view our case study here to see the result from the marketing campaign. When it comes to your marketing activities assisting your sales department, you’ll have to start by clearly defining your marketing process. 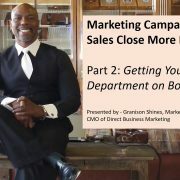 In this video, Granison talks about Direct Business Marketing’s marketing process that you can use to outline your marketing activities. 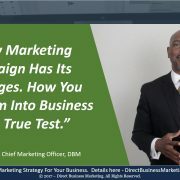 Watch the video and then view our case study here to see the result from the marketing campaign for one of our clients. Feel free to book a time on our calendar so we can talk about your marketing campaign. What is a Marketing Consultant? A marketing consultant is an experienced marketing professional hired by a company to help develop a marketing plan, strategies and actionable tasks. The consultant may participate in identifying target markets, researching the marketplace, developing solutions and preparing marketing campaigns. In this video, Andrew, Dustin and I discuss why a marketing process put in place is a good thing for your business. 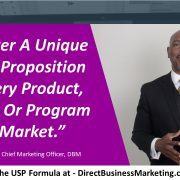 Here at Direct Business Marketing, we adhere to the Generate, Capture, Store, and Nurture, process which is “THE” marketing process for every industry. 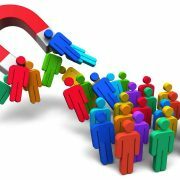 Think about it, every marketing campaign has to generate leads, capture those leads, store those leads, and nurture those leads to the sale of your product or service. What a process does is allow you to execute tasks in a systematic way. Meaning, it allows you and those in your business to be productive, efficient, and profitable. Marketing plans work out great when there is a process in place that allows the business to be flexible and streamlined at the same time. This month, we’re going to introduce our Marketing Consulting Series. 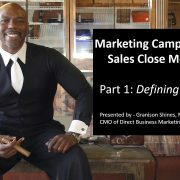 Marketing consulting is one of Direct Business Marketing’s forte when it comes to services offered to our clients. We firmly believe that at some point in your business, all need an outside eye focused on the marketing campaign, even to give it a complete once-over. Why? 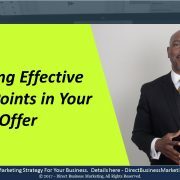 Because if the marketing consultant is worth his/her salt, then they can definitely see the potential holes in your campaign that can save and make you a lot of money. In this video, Andrew, Dustin and I discuss what you should look for when hiring a marketing consultant. There are quite a few intangibles that far surpasses the knowledge and insight of the consultant. In fact, one should consider what we discuss in this video as the leading determining factor of the hiring process.